Directly on Lake Constance and at the foot of Pfänder Mountain, you’ll find both cultural and natural sites as well as various leisure time activities. Visitors from all over the world get enchanted by Vorarlberg’s marvelous landscape, the picturesque historic center, and, not least, Austria’s typical culinary delights. Visitors of the city of Bregenz come back again and again! Historic buildings meet modern architecture, nature meets culture: stroll across the upper town – an oasis of calm within the hectic city – with its medieval buildings including St. Martin’s Tower, the city’s baroque landmark, and the Old Town Hall, the largest preserved half-timbered building of Bregenz. But it has long since not been used for political purposes and people can instead feast there since the Old Town Hall now accommodates one of the best restaurants of the city. The Bregenz Festival is well-known and popular far beyond Austria’s borders. Against the romantic backdrop of Lake Constance, the Festival Hall, Werkstattbühne, and Theater am Kornmarkt offer top-class events each summer: operas, classical music concerts, theater, cabaret, literature. Since 1946, the Festival has been part of Bregenz, just as Pfänder Mountain and Lake Constance, and an essential element of Austria’s cultural landscape. At Kunsthaus Bregenz, art lovers can explore both breathtaking architecture – the building acts as a luminary amid the city – and numerous exciting exhibitions of contemporary Austrian and international artists. Furthermore, regular architectural guided tours invite to discover the buildings and their particularities in detail. All throughout the year, the local mountain promises splendid sights – and can be reached quite easily. The lower terminus is within easy walking distance from the main station and the port; the Pfänder cable car carries you, within just six minutes, on an altitude of 600 meters. High on the top, 1064 m above sea level, the view encompasses the Lake Constance, including its German and Swiss shorelines, and the Vorarlberg mountains. During summer, Pfänder Mountain is suitable for extended hikes and mountain bike tours whereas light powder snow attracts people in winter. Bike tours around Lake Constance, boat excursions, sailing, and the lively port – Lake Constance is the secret center of Bregenz and starting point for numerous leisure activities. Come on board of the MS Sonnenkönigin and explore the stunning backdrop of the border triangle, enjoy during summer the warm lake water or rent a boat and let your cares simply drift away. Enjoy your stay in Bregenz at one of our PrivateCityHotels. 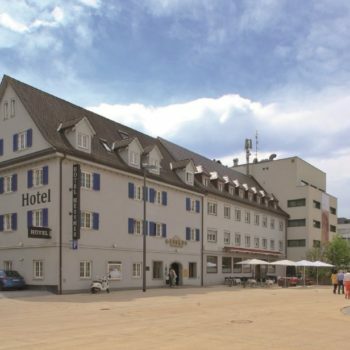 Our private hoteliers will no doubt make your stay in the capital of Vorarlberg a mere pleasure and always be available with useful suggestions. Book your Bregenz vacation now at a PrivateCityHotel or select one of our other hotels in Austria, Germany, and Switzerland. Are you looking for an individual gift? Why not opt for a travel gift voucher? Our vouchers are redeemable at more than 55 hotels in 14 European cities and available online via our voucher shop.